Weddings on a Budget is the complete guide to organising the perfect wedding without spending a fortune. 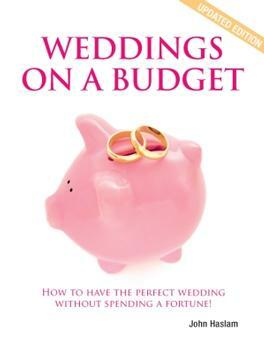 It tells you the 3 factors that determine your budget, the 'Big Five' items that eat up your budget, who pays for what, the questions you must ask wedding suppliers and over 500 practical ideas to keep cost down - plus lots more - and even when to elope instead! Fabulous book if youron a tight shoe string budget buy this book ! This is a briliant book. Don&apos;t get married without it!